It’s Thursday and we all know what that means–time for another post in my Beginner’s Guide to Blogging series. Can you believe we’re already on post number four?! 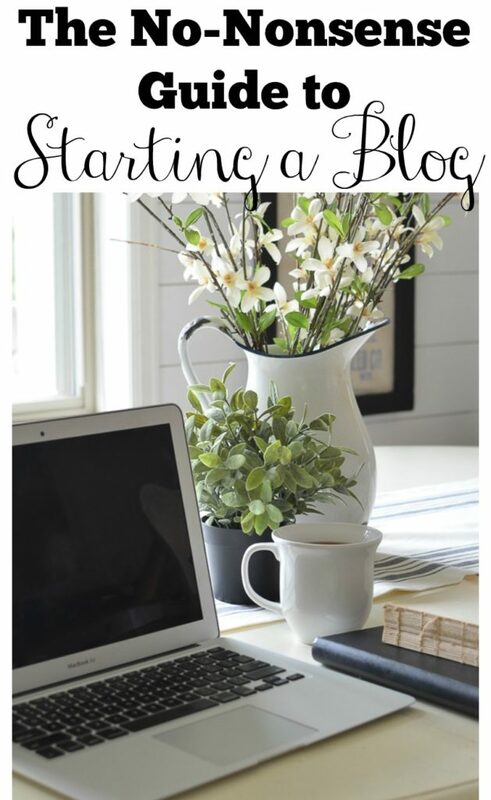 Today I’m sharing the inside scoop on how to make money blogging. I’ve been really looking forward to this one because it’s something I get a lot of questions about–can you really make money with a blog? The answer to that is YES. Definitely yes. 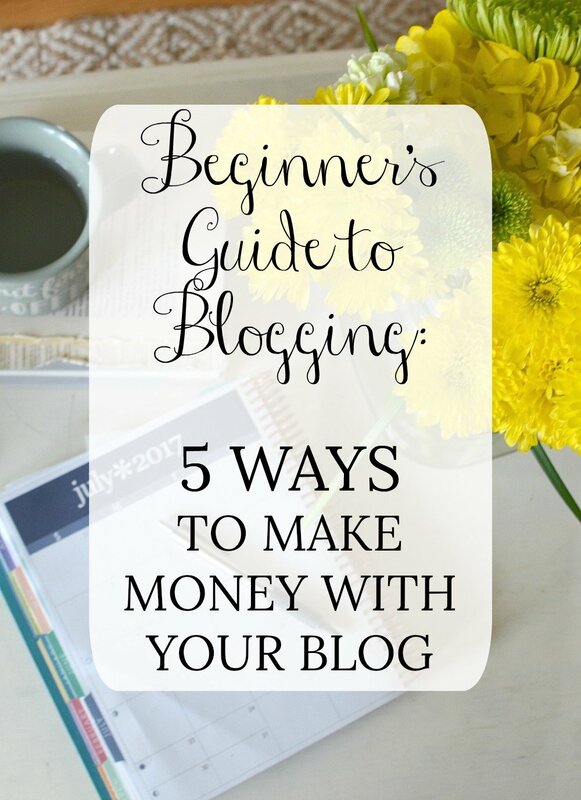 And today I’m sharing five ways you can earn money blogging. But keep in mind, monetizing your blog comes with a lot of hard work, creativity, long hours, self-motivation, etc. However, the sky is the limit in terms of what you can earn. I know that sounds crazy, but it’s true and I’m going to prove it to you today. This is a long one, so grab a snack and let’s do this thang. 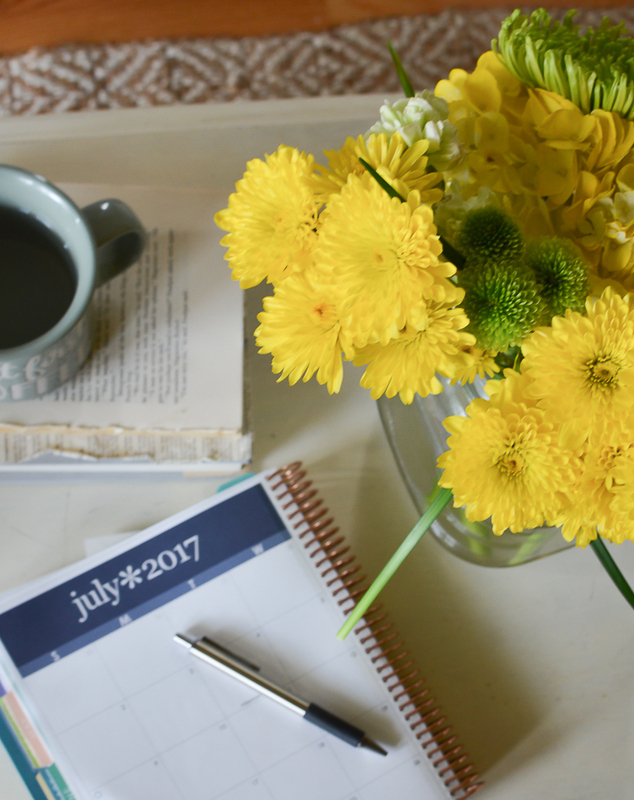 Before I jump into exactly how you can earn money blogging, I want to share something that inspired me personally. When I began dreaming about launching my own blog I had absolutely no idea that people could actually earn an income from blogging. But when I started really looking into it back in November 2015, it didn’t take long for me to discover that blogging can be a legitimate job. In fact, with a quick search on Pinterest for “how to earn money blogging”, I found that many bloggers were earning full-time incomes and even posting detailed, monthly income reports. It was fascinating. I looked at any and all reports I could find and soon realized the sky is the limit. I discovered that some of the most successful bloggers were regularly earning $20,000 to $30,000 a month–and sometimes much more. I know that sounds absolutely crazy, but it’s true. Do the research and you’ll find the same reports I did. I bring it up only to show you that the sky is the limit. Really, blogging can be an incredibly lucrative job–but it obviously comes with a TON of hard work, strategy, and effort. And it doesn’t happen overnight. I only mention this first to share what is possible. Seeing the income reports from “big-time bloggers” was incredibly motivating for me personally, and it gave me hope that maybe one day down the road I could maybe earn a bit of money from my blog. It was the inspiration I needed to take the plunge and go for it. Now let me provide a little disclaimer–I’m definitely no where close to “big-time blogger” money. But I will say that since leaving my job back in November 2016, I’m now earning more than I would have if I had continued working full-time. I feel incredibly blessed and fortunate to be able to say that. And I give all the glory to God because it’s truly been His doing. But I want to warn you that you should not start a blog purely to make money. You will work a loooooong time and put in many, many hours before you earn your first dollar. You have to be passionate about what you’re writing first and foremost–that is so important. Ok, now let’s get into how bloggers actually make money. Ads: The first and most common way for bloggers to make money is with ads. All those ads you see on each blog (or any website really) are generally coming from some kind of ad network. I know they’re a bit annoying, but it’s a great way to earn money for all the time and effort you put into creating free content for your readers. If you’re just getting started with your blog, I’d recommend joining Google AdSense. You can start placing ads in your posts and on your blog home page, which will start earning money right out of the gate based on your monthly pageviews. As your blog grows you can start exploring bigger ad networks, such as AdThrive–which is what I use and love. They handle all of the ads on my blog and I don’t have to manually place them anymore, which is how Google Adsense works. Affiliates: What the heck is an affiliate, right? I remember thinking the same thing. In simple terms, it’s basically a link to a product or website that is embedded with some kind of ID that’s associated with you. Bloggers earn a small commission on any products that are purchased from a link on their website or social media platforms–as long as it’s an affiliate link. This is awesome because it does not change the price of a product you’re recommending to your readers, but it gives a small kickback to you if that product is purchased. There are lots of affiliate programs out there, but the best place to get started as a new blogger is with Amazon Affiliates. It’s very simple and straightforward. Once you get accepted into the program, set up your account and then you can generate an affiliate link for anything on Amazon. You can also become an affiliate for programs you love and use. For example, I’m an affiliate for Bluehost, which is the host I use for my blog. There are also larger affiliate networks like RewardStyle you can join as your blog grows, but it generally takes a pretty large following to get accepted into that one. Sponsored Blog Posts: Sponsored blog posts happen when a blogger teams up with a brand or company to share a very specific post on their blog. As a blogger, the brand/company is paying you to talk about their product and that fee is usually based on your monthly pageviews and social media reach. They are definitely a lot of work, but they’re also a fabulous way to earn money while sharing something you love. Just be very clear about your focus and what you truly love before accepting any sponsored post offer. DO NOT take just any old offer you get. And don’t overload your blog with sponsored content or you’ll come off as disingenuous. I personally prefer to limit the number of sponsored posts I do and only accept offers from products/companies that I truly love and recommend. There are many middleman services out there such as Collective Bias that connect companies with bloggers. However, you can also email companies and pitch your post idea to them directly. Sponsored Social Media Posts: Sponsored social media posts are becoming more and more of a thing. As your social media numbers grow, you will likely have the opportunity to partner with brands to do sponsored posts on Facebook or Instagram. Again, those rates are usually based on how many followers you have and your overall reach. Products: Creating products, such as e-books and courses that relate to the theme of your blog or some expertise you have can be a great way to diversify your income and expand your brand once you have established yourself a bit. Many, many big bloggers do this and it can be a fabulous way to take your income to the next level. I wouldn’t recommend even worrying about this when you’re just getting started, your focus should be on creating great content and slow and steady growth. But when the time comes to start launching your own products, the sky is the limit on what you can create. All right guys, that’s a lot packed in one post! I hope this gave you some helpful information on ways to make money blogging. Like I mentioned earlier, blogging can totally grow into a legitimate career. But it comes with a TON of hard work and effort, just like anything in life. BUT it’s also awesome. I truly love blogging and I feel incredibly blessed to call this my “job”. I really feel like this is the best job on the planet. I get to be home with my babies AND share the things I love and enjoy. It’s pretty darn cool. Let me know if you have any questions, I’m always happy to chat in the comments! Thanks so much for sharing, Sarah! I’m just entering my second week of blogging and I can honestly say it’s been a long time since I’ve been this excited and passionate about something. You know something is good when you can’t fall asleep at night because you can’t stop thinking about it. I have learned so much by reading many of your posts and I’m so grateful for you sharing your journey in blogging. 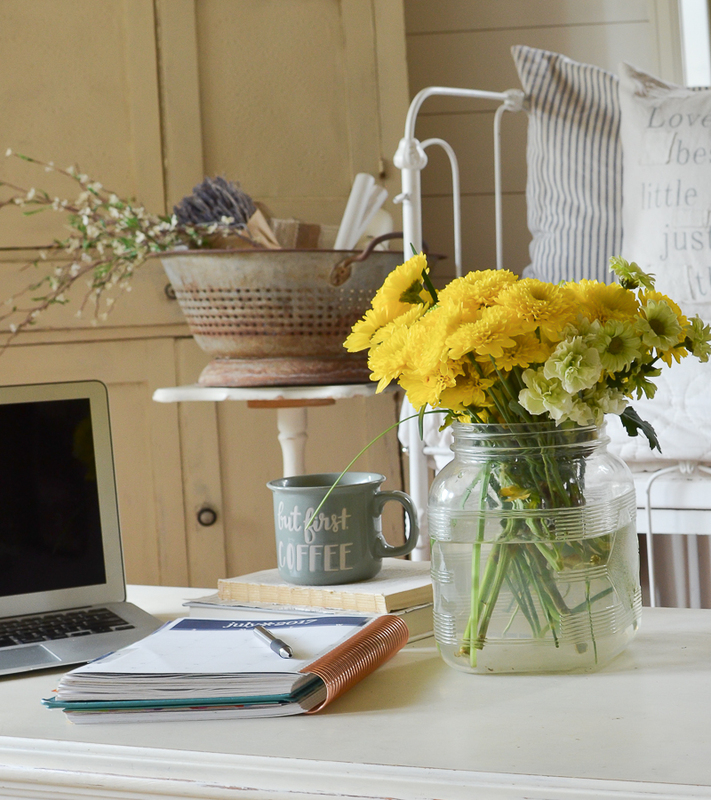 I started my blog to share my passion for decorating, but of course, monetizing it would be a nice benefit. Have a blessed day! I’m so glad to hear this series has been helpful to you Stephanie! Wow thats just awesome information , I had no idea or even thought about earning money. For now Im just struggling on how to organise the blog and how to get my passion and love for DIY out there. Ive just started my FB page and Blog , its just a free blog so I think it may be limiting me. Thanks again Sarah for your dedication to your readers and passing on all this information to help us along . I’m glad to hear this series has been helpful to you Teresa! Let me know if you have a my specific questions, I’m happy to help. Thank you so much for this post!! It was so helpful! Not all blogging posts give examples of good sites to try and as a beginner it helps to have somewhere to start! Thank you! Of course, glad you found it helpful Elisabeth! Hi there! Thanks for sharing! I have been blogging for 2 years now and have only had one large paid post through Home Depot and was so grateful for the opportunity. I loved it but it has been a tad frustrating trying to find more with other companies because I know most want a large social media following. I can’t seem to get a steady large following on any of my social media streams. Any tips on this or how to best approach companies or get noticed? That’s a great question Natalie. And I’d have to agree, I think many companies are looking for large social media followings, which can make it hard for a brand new blogger. Often times what I do is reach out to the company I want to work with directly. Many are very active on Instagram, so I will sometimes start by sending a private DM to the company and asking for a good email address for someone in PR that works with bloggers. Most of the time I get a response, but not always. Once you have that email just send your pitch. I try to keep it short and sweet. Definitely mention the fact that you’ve worked with Home Depot, share a link to that post, and of course mention how you’d love to collaborate on a post. You can send your media kit at that point or wait for a response back. Hope that helps and good luck to you! Something I’ve been really curious about is how much traffic does a blog really have to see before noticeable income would start occurring? I imagine it depends hugely on how each individual blogger chooses to monetize, but I wonder if there’s a lot of middle ground in blogging (as far as income)? Sometimes I feel like I only see the “big-time bloggers” bloggers and the teeny tiny bloggers (like me, haha!). Also, have you found that keeping track of all the different revenue streams is a challenge for taxes? Good questions Ellen! I’d say once you hit 100,000 pageviews a month you will start noticing a jump in income. That’s when I was able to switch over to AdThrive, which started to consistently bring in a nice little paycheck from my ads. 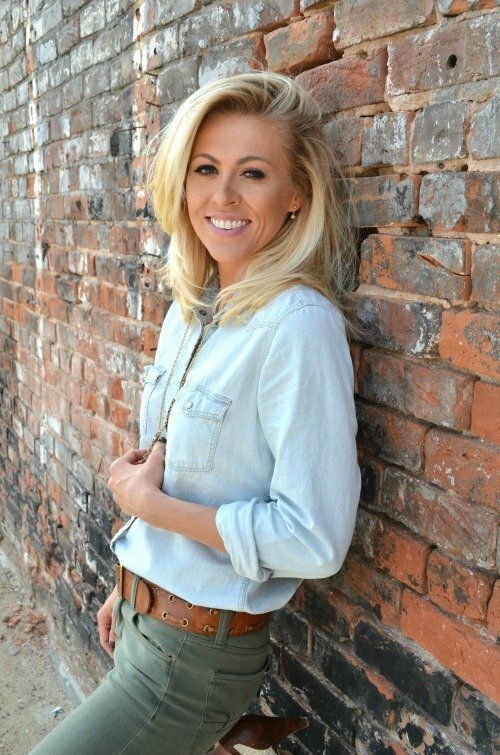 And I believe around that time I was also accepted into RewardStyle, which is HUGE for my affiliate income and gives me access to affiliate links from places like Target, Nordstrom, Wayfair, etc. And I feel like once I hit that number I was a bit more confident to approach brands for sponsored posts as well. And as far as tracking everything for taxes, yes it’s a bit of a hassle but it’s not as bad as I thought it would be. To be honest it’s more of a hassle for me to keep track of my expenses for each post, which are deductible. It’s a hassle at times, but 100% worth it. Hope that answers all your questions! That is super helpful! Thank you Sarah!! I have thought about starting a blog, I think I’m pretty good at writing but what do I have to say that anybody would want to read? & that is where I’m stuck. I live in a small town & I’m a very simple person. I just don’t know that I have anything to say that people would want to hear. I’m in the process of starting up a new blog and Etsy store – with regards to Pinterest is it best to set up a business account or does a personal Pinterest account work just as well? Is there really a difference?